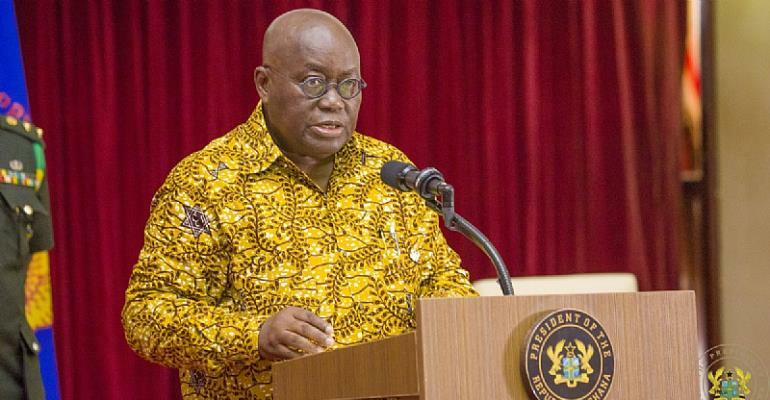 President Nana Akufo-Addo has said Ghana’s poor ranking on the latest Corruption Perception Index (CPI) was “largely” influenced by corruption claims in the past regime. Ghana has been ranked 81st out of 180 countries in the latest CPI , scoring 40 marks out of 100. It represented three points drop from its performance in 2016, which was 43. The 2017 index has revealed more than two-thirds of the countries studied scored below 50, with an average score of 43. Only two countries – New Zealand and Denmark – were ranked highest, with scores of 89 and 88 respectively. But the release of the CPI results has sparked a debate with members of both the governing New Patriotic Party (NPP) and National Democratic Congress (NDC) accusing each other, for the poor ranking. Some government officials have said the drop in the ranking was caused by corruption perception in the ex-president John Mahama regime. But in the first year of President Akufo-Addo’s government, various corruption allegations were levelled against some of his appointees, a development he claimed was an attempt by his critics to undermine his administration. Speaking during the swearing in of Special Prosecutor Martin Amidu Friday, the President said corruption claims in the past regime and not his government are, largely to blame for the poor CPI ranking. “The recent publication of Ghana's score in the 2017 Corruption Perception Index, organised by Transparency International, showing a further drop in our standing, a result largely based on ‘the plethora of corruption allegations/exposés’ before the onset of this administration, indicates the enormity of the task ahead,” he said. He has asked Ghanaians to support the former Attorney-General to discharge his duties without fear or favour. “The Special Prosecutor cannot do it all by himself. He requires the active co-operation of all the institutions of our state, as well as that of the general public, if he is to be successful in the fight against corruption,” he said.